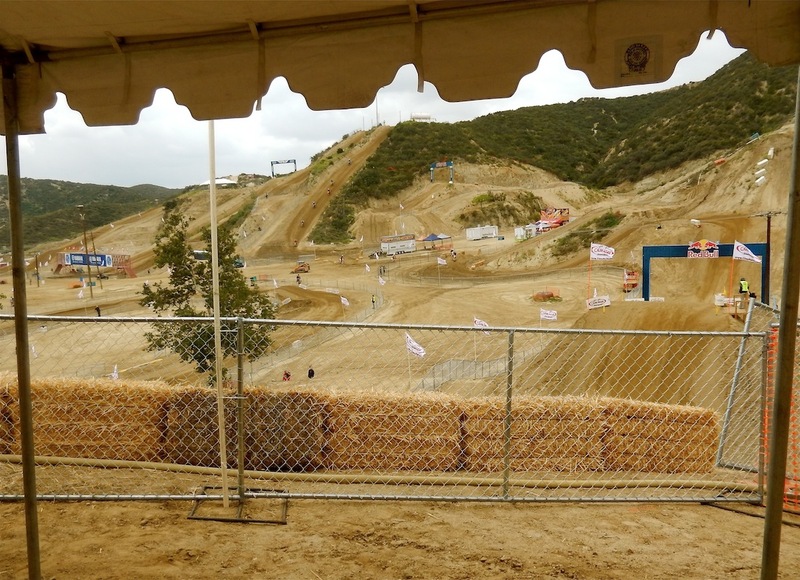 Only 13 riders were invited to Glen Helen Press day. 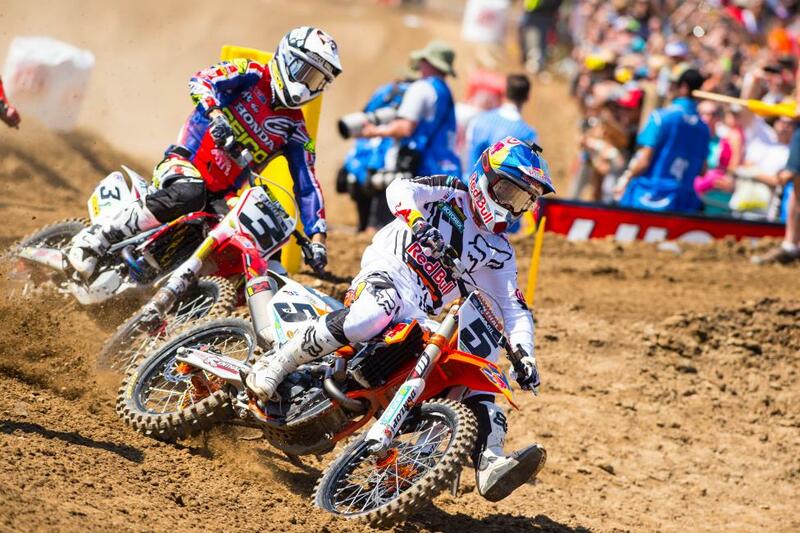 They included Justin Barcia, Weston Peick, Phil Nicoletti, Ken Roczen, Blake Baggett, Jessy Nelson, Justin Hill, Shane McElrath, Sean Collier, Brett Metcalfe, Justin Jones, Chad Reed and Josh Grant (ready to race this weekend after biting his tongue last week).. This is the view of Mt. Saint Helen from the top of the Velodrome turn. Everybody wants natural terrain—until they get it. This rock-face hill was incredibly steep and included sheer rock walls. 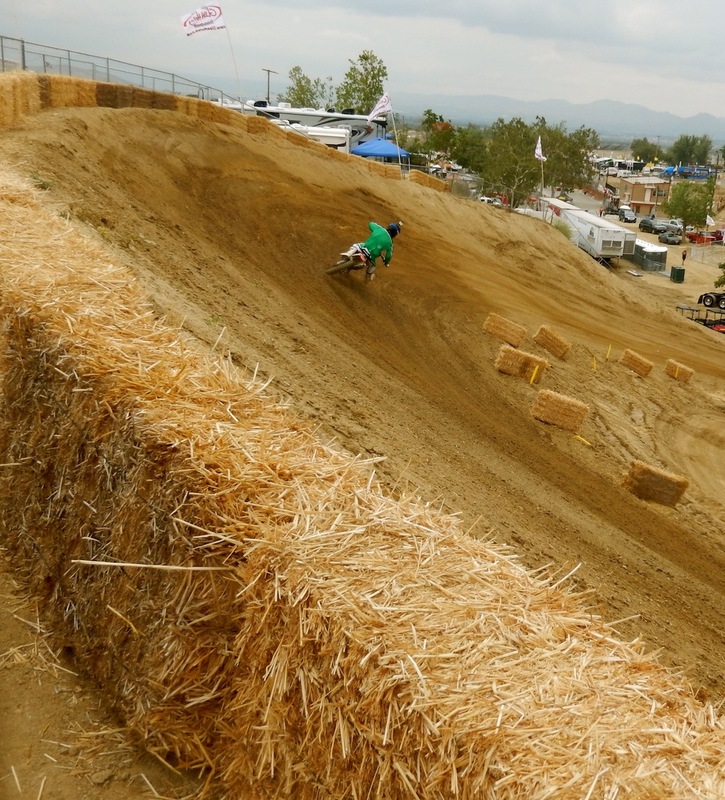 Blake Baggett (4) climbs up the hill. Where are they now? P.J. 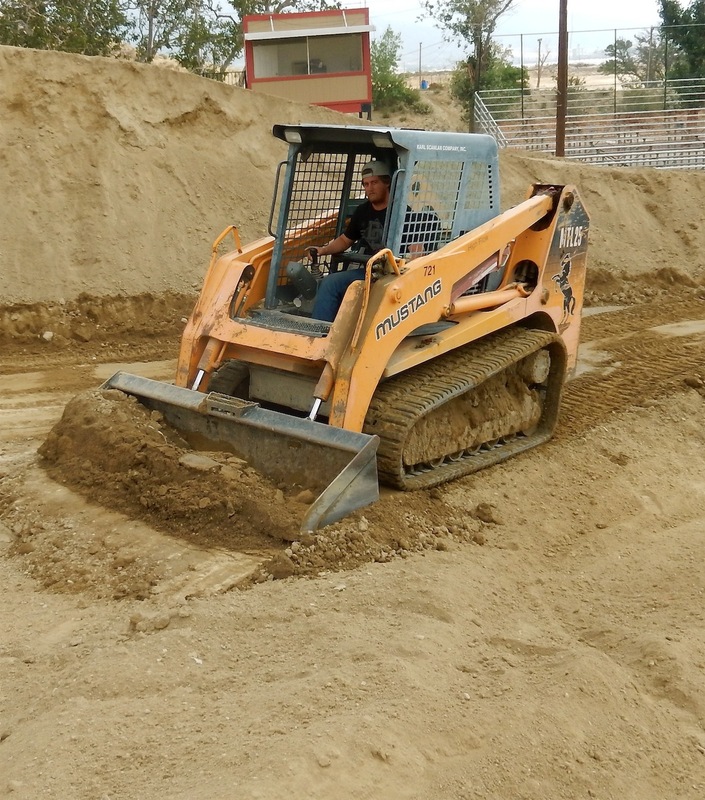 Larson helped build the Glen Helen National track. The former Australian National Champion has put racing aside. Ken Roczen surprised everyone by riding Press Day. His back must be feeling better. He was a blur down this downhill (note how high the hill is by how small the media is down below). Sean Collier rode the first practice session on a Kawasaki KX500 two-stroke, which he intends to race the FMF Two-Stroke Challenge on Saturday. 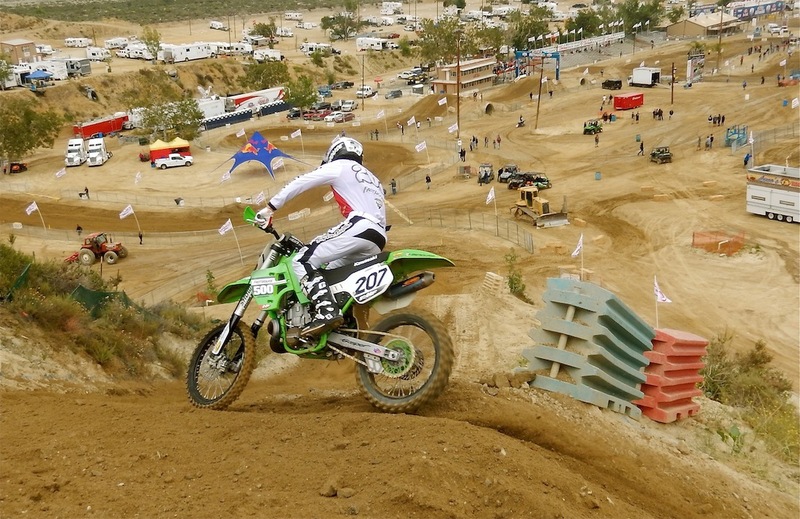 In the second practice he rode his KX450F, which he intends to race in the 450 National on Saturday. That’s a full plate. Believe it or not the Velodrome turn is higher and steeper this year. 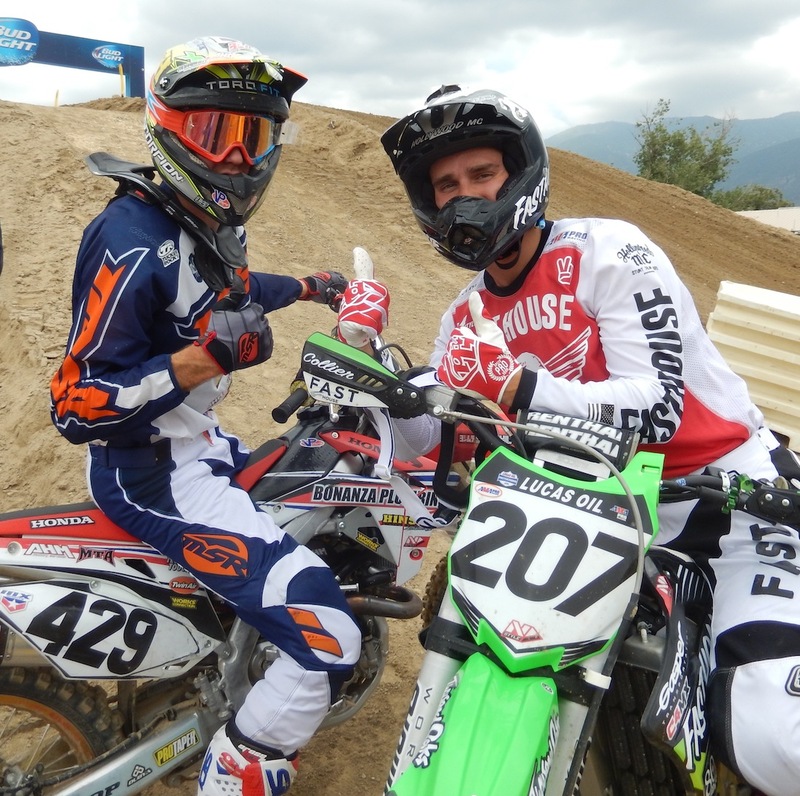 The privateers chosen to go to attend Press day at Glen Helen were Justin Jones (429) and Sean Collier (207). 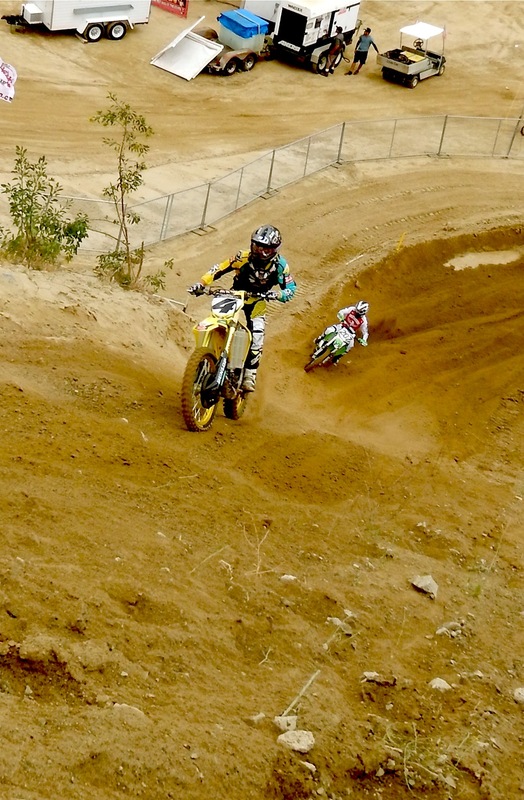 Justin is the son of four-time Champion Gary Jones and an ISDT Gold Medallist in his own right. 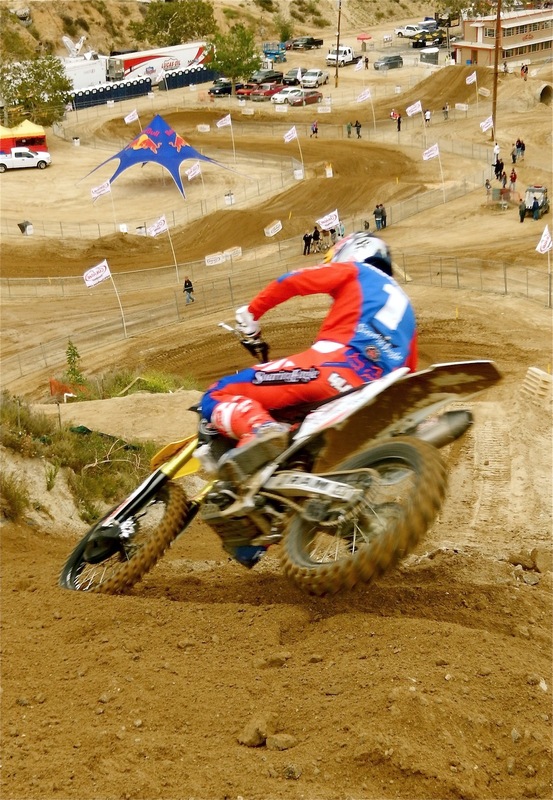 Sean Collier is the two-time World Two-Stroke Champion.